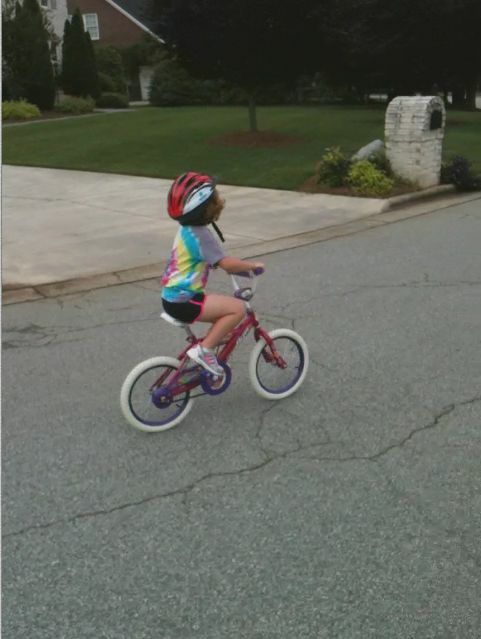 Last year was Mara’s first time riding her bike without anyone holding on. At that time she still needed some help getting started. We have had a couple of sessions of practice since then trying to get more used to the bike. Every time is accompanied by a “don’t let go of me dad” type of comment. She has never let me let her go of her own free will. And at no point has she ever had trouble riding it after I did let it go. Last Sunday was no different. 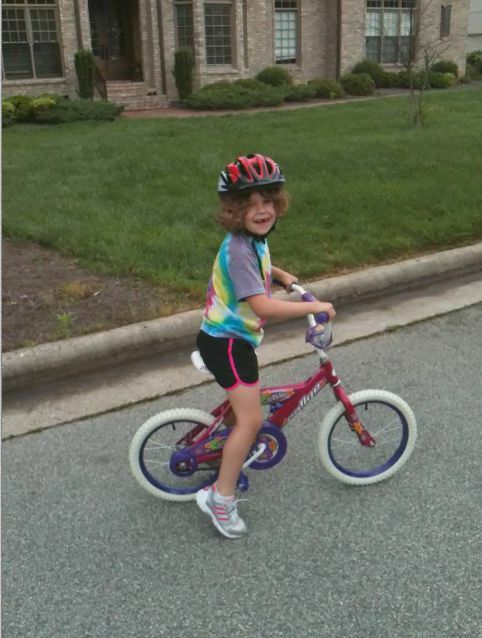 We had gotten back from eating breakfast out and Mara was feeling like trying her bike. The session began like all the others, “don’t let go of me dad,” accompanied by a quick letting go of the bike, running right next to her so she can see that I am not holding her and replying, “I’m not holding on to you Mara,” and a cackle from Mara. A few weeks before, Preston had visited and demonstrated his elite bike riding skills. He was all over the place with Mara’s bike with no problem. Somehow I think that gave Mara some added inspiration. It wasn’t long on Sunday before Mara was standing the bike up, walking it a little with her feet, and then lifting her feet onto the pedals and riding away. I ran with her for a few of these attempts since she hadn’t had a chance to learn to stop yet. But quickly that was at an end too. She got used to the stopping as well and then she was riding all on her own. Only an hour or so of practice and she was doing it all by herself. Sunday turned out to be a full bike riding day. Riding in the morning, and riding in the afternoon. She was showing off to the neighbors and was very very proud. View these videos with Quicktime, or I am afraid you might be seeing them sideways.